DSU: What does a cyber attack look like? 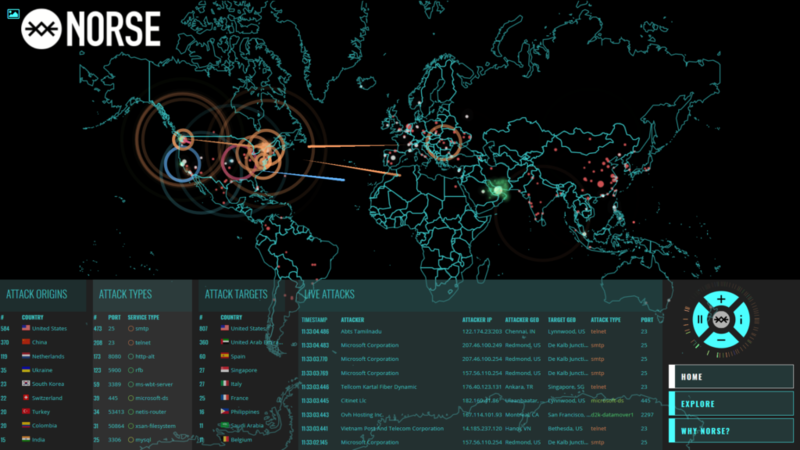 Did you ever wonder what a cyber attack looks like? Dakota State University has an wall-sized monitor in a very large public room which captures visually where the attacks come from and where they go. The huge monitor is real-time, and it is mesmerizing to see it. Beacom College of Computer and Cyber Sciences of DSU is a leader in cyber security education. Below, I am posting an 8 second video which captures a bit of the action. Next, I am posting one still photo of the wall monitor. Finally, I am posting a link to more information on the cyber security program. Click HERE to learn more about the DSU cyber security programs. WOW!! That looks like something out of a movie. Go South Dakota.